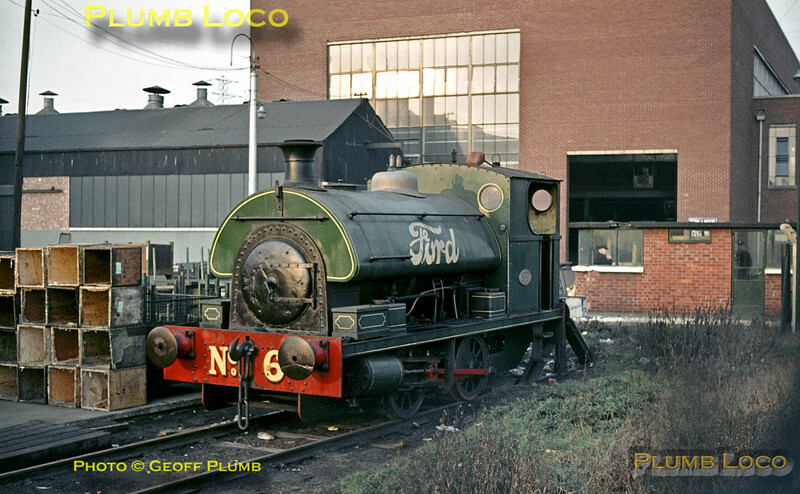 Ford Motor Works at Dagenham had an extensive internal railway system with a fair size fleet of engines. Here, Ford No. 6 (Peckett No. 1908/1937) an 0-4-0ST looks in good condition but is out of use at the end of a siding. Photo taken from outside the perimeter fence, perhaps due to the proximity of the security gatehouse! January 1964. Slide No. 499.